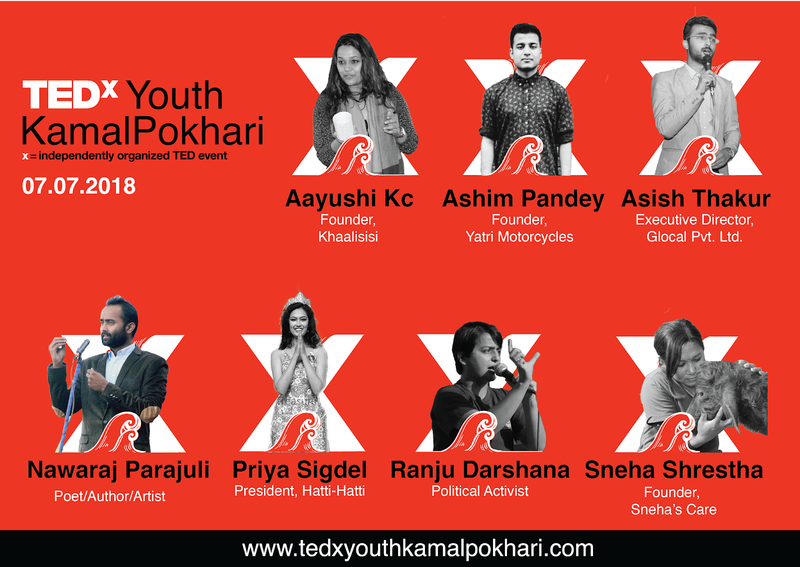 TEDx Youth@Kamalpokhari all set for this July! Kathmandu, 9th June, 2018: TEDx Youth@Kamalpokhari was officially announced in the press release held on 9th June, 2018 at Grace International, New Baneshwor, Kathmandu. It is an independently organized TEDx Youth event operated under license from TED in Kathmandu, centered on the theme ‘Changing Currents’. TEDxYouth@Kamalpokhari is slated for 7th July, at Nepal Tourism Board, Pradarshani Marg, Kathmandu. This youth-led event, with an audience size of 100, will feature inspirational stories of 10 local heroes across the nation in a bid to bring positive changes in society. 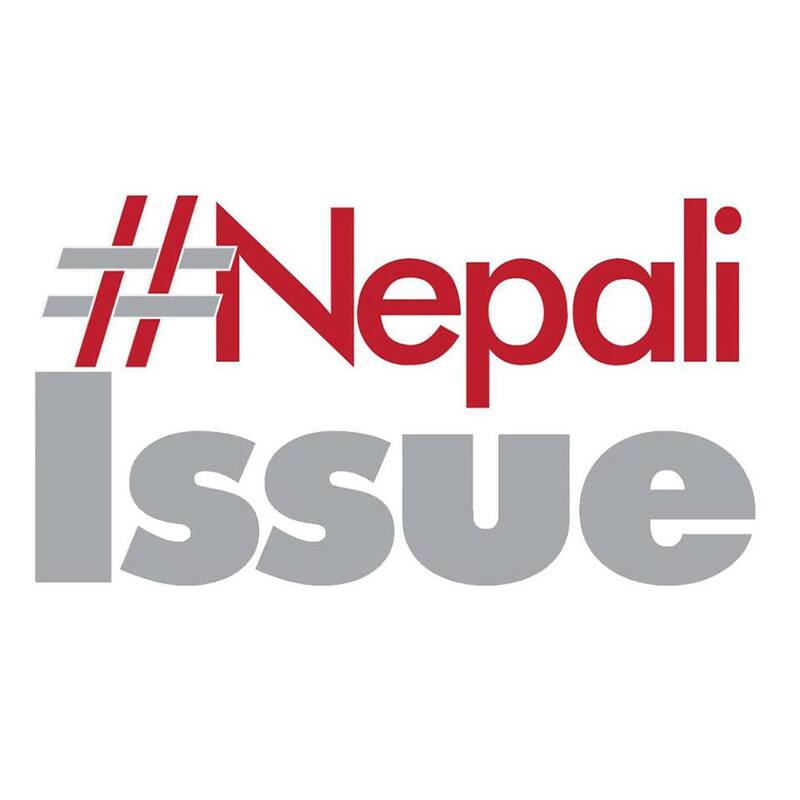 The confirmed speakers till date include Aayushi KC (Founder of Khaalisisi), Asish Thakur (Executive Director of Glocal Pvt Ltd), Nawaraj Parajuli (Nepali poet, actor), Priya Sigdel (Miss Nepal Earth 2018), Ranju Darshana (Social Activist, Politician), Ashim Pandey (Founder, Yatri Motorcycles) and Sneha Shrestha (Founder, Sneha’s Care). 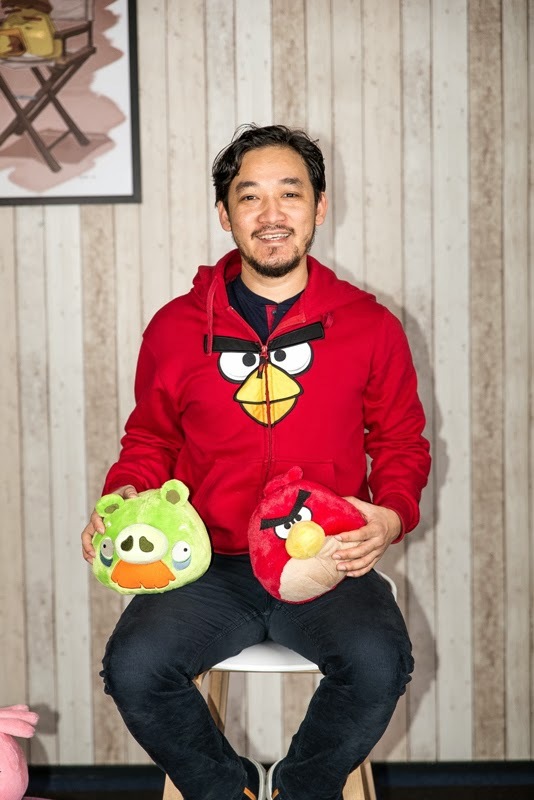 The remaining speakers will be selected through an application process by the curators team. 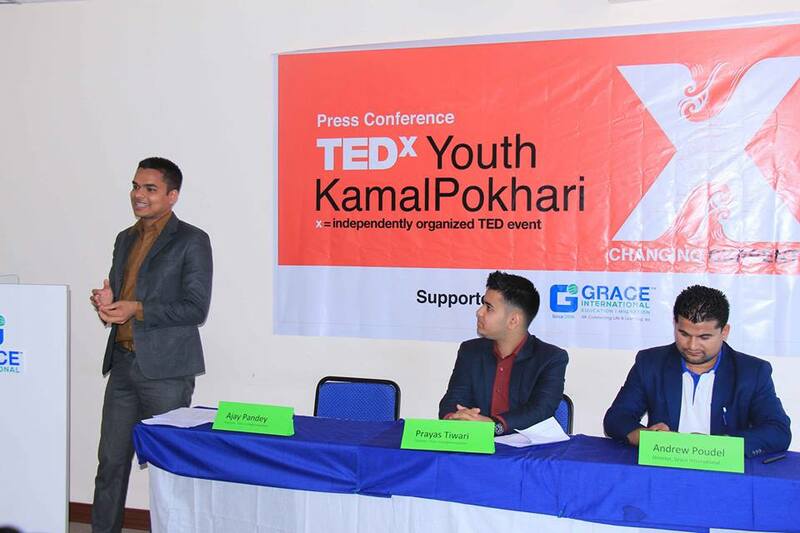 On a concluding remark, Mr Ajay Pandey, curator and co-organizer at TEDx Youth@Kamalpokhari, emphasized on their objective to bring a valuable and branded TED like experience through TEDx in Nepal. This shall contributed in the TEDx culture in Nepal, which has been evolving in the recent years. The application for the rest of the speakers as well as participants will open soon at https://tedxyouthkamalpokhari.com/.